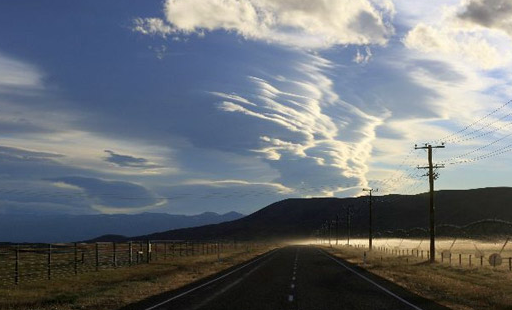 Easter break is an opportunity to visit family or to explore other parts of New Zealand over the long weekend. 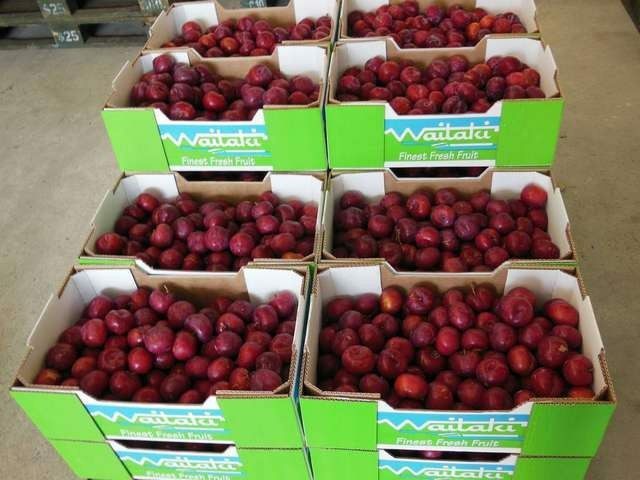 Receiving a gift of honey and a box stone fruit from my friend Kate has prompted me to take you on a virtual journey to the Waitaki Valley, inland from Oamaru, South Island. Kate White and Peter Irving live in the Waitaki Valley, just out of Kurow. 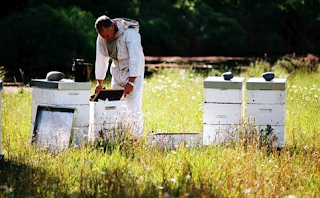 Peter is an apiarist operating 3,500 hives and Kate manages the business end of the Waitaki Honey Company. Their honey is the most creamy, soft and delicate honey you could wish for. 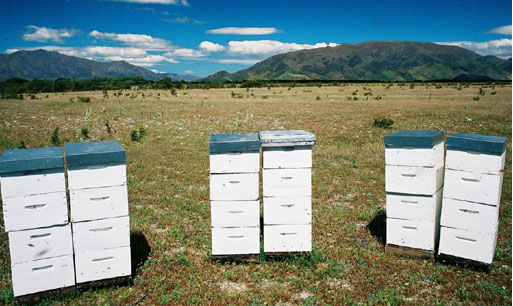 their honey to international markets as New Zealand honey is highly valued overseas. The plums were the size of nectarines and a beautiful red. I promised I would bring the dessert to a friend's for dinner, but with little time to prepare, it had to be simple. I remembered a recipe from the New York Times site that suggested roasting peaches with basil. I would try basil with the plums instead and use the honey to produce a Waitaki Valley inspired dessert. I cut and stoned the plums and placed them on my blue oven proof plate from an appropriately South Canterbury institution, Temuka Pottery. The dip in the fruit where the stone had been, I filled with honey and spread a little over the cut surface. 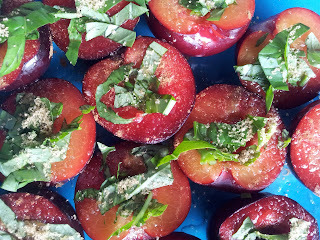 I sprinkled the plums very lightly with cinnamon and some sliced fresh basil. (I used a good handful for the plate). I wanted the fruit to caramelise a little, so I put a light dusting of raw sugar over the top. It's up to you as to whether you want to add sugar at all. I didn't have time to cook the fruit, so I just took the plate and a carton of ice cream, and we cooked at our friends for about 10-15 minutes at around 180C. The cream of the vanilla icecream with the hot, sweet yet tangy plums worked a treat. And the basil - well it looked great, and it produced a subtle aniseed flavour. Basically you can do this with any type of stone fruit. Roasting brings out the flavours beautifully and it's so simple. Honey when cooked gives the kitchen a wonderful fragrance. 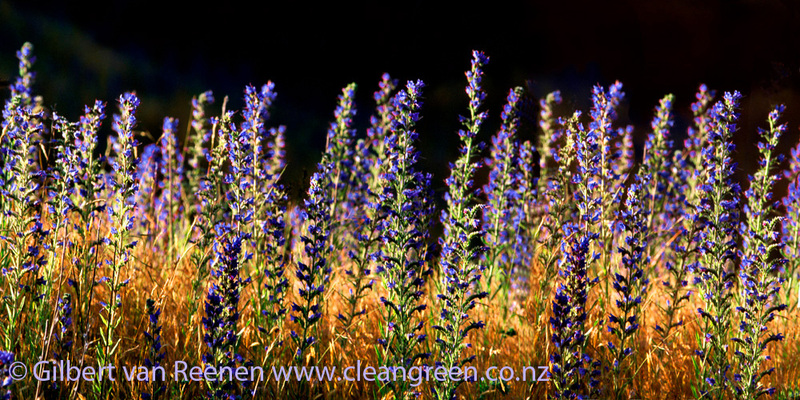 New Zealand honey is widely sought after because of its single floral flavours. The wild areas where Peter puts his hives allows the bees to flavour his honey with clover, thistle and vipers buglos. Honey made from vipers buglos is often called Blue Borage but its not the herb borage that we grow in the garden. 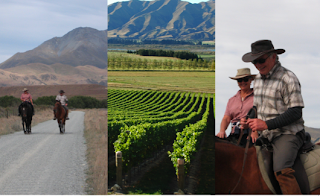 and Marlborough, especially in dry areas. Honey, unlike sugar, is more than just a sweetener. It has antioxidants and healing properties. 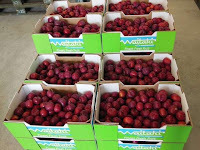 The stonefruit Kate sent me came from Waitaki Orchard on Highway 83 just 4km east of Kurow. It's truly a family run operation. Justin and Julie Watt and their 8 amazing children aged 8 to 18 all work on the orchard. The Waitaki River is sourced from the Southern Alps and is the lifeblood for all the communities that have grown up along its banks. Waitaki Valley is a gateway to the Southern Alps and the MacKenzie Country. Here are some things you can do if you travel to the Valley following the River from the alps to the ocean (with a foodie focus). Duntroon is centre for fossils, rock drawings and nearby at Elephant Rocks incredible limestone formations that look quite out of this world. Visit Vanished World and get a Vanished World Trail Map. Before you take off exploring you might like to stop for a coffee at The Flying Pig Cafe - reviews are good and its a memorable pink. Near to the mouth of the broad-braided Waitaki is the famous Riverstone River Cafe where chef Bevan Smith and his team produce fresh regional food, much of it from Riverstone's own kitchen garden. Thanks to Tourism Waitaki for providing me with images to use. "Paradise found...heavenly nectar", the opening lines to Waitaki Honey Company website - couldn't agree more, about the place and the honey.